ZAGREB, Croatia (AP) — Mirjana Filipovic is still haunted by the land mine blast that killed her boyfriend and blew off her left leg while on a fishing trip nearly a decade ago. It happened in a field that was supposedly de-mined. Now, unlikely heroes may be coming to the rescue to prevent similar tragedies: sugar-craving honeybees. Croatian researchers are training them to find unexploded mines littering their country and the rest of the Balkans. When Croatia joins the European Union on July 1, in addition to the beauty of its aquamarine Adriatic sea, deep blue mountain lakes and lush green forests, it will also bring numerous un-cleared minefields to the bloc's territory. About 750 square kilometers (466 square miles) are still suspected to be filled with mines from the Balkan wars in the 1990s. Nikola Kezic, an expert on the behavior of honeybees, sat quietly together with a group of young researchers on a recent day in a large net tent filled with the buzzing insects on a grass field lined with acacia trees. The professor at Zagreb University outlined the idea for the experiment: Bees have a perfect sense of smell that can quickly detect the scent of the explosives. They are being trained to identify their food with the scent of TNT. 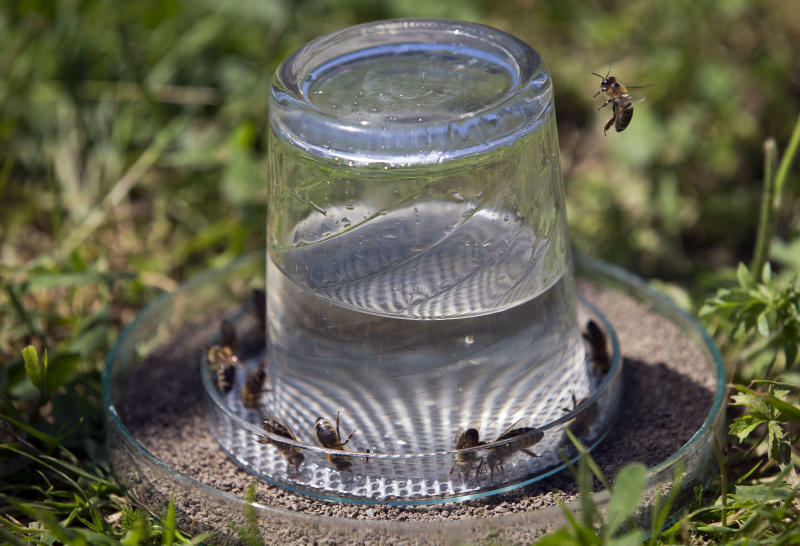 "Our basic conclusion is that the bees can clearly detect this target, and we are very satisfied," said Kezic, who leads a part of a larger multimillion-euro program, called "Tiramisu," sponsored by the EU to detect land mines on the continent. Kezic said the feeding points containing the TNT traces offer "a sugar solution as a reward, so they can find the food in the middle." "It is not a problem for a bee to learn the smell of an explosive, which it can then search," Kezic said. "You can train a bee, but training their colony of thousands becomes a problem." Croatian officials estimate that since the beginning of the Balkan wars in 1991, about 2,500 people have died from land mine explosions. During the four-year war, around 90,000 land mines were placed across the entire country, mostly at random and without any plan or existing maps. Dijana Plestina, the head of the Croatian government's de-mining bureau, said the suspected devices represent a large obstacle for the country's population and industry, including agriculture and tourism. 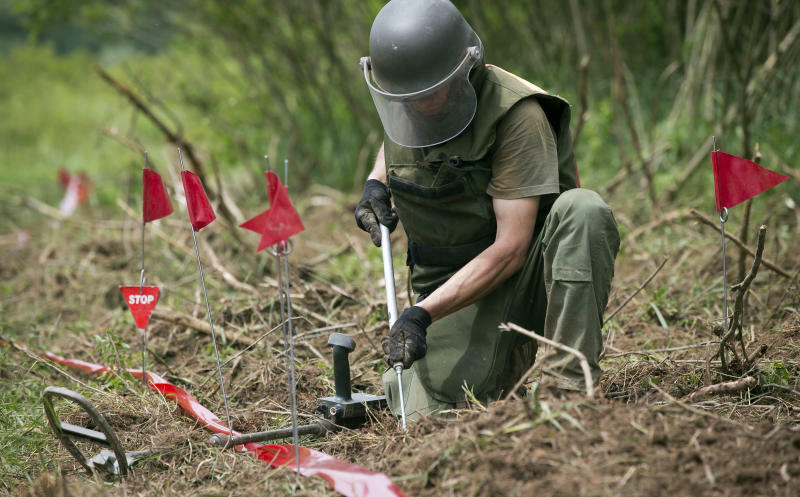 In the nearly two decades since the end of the war, land mines have taken the lives of 316 people, including 66 de-miners, she said. "While this exists, we are living in a kind of terror, at least for the people who are living in areas suspected to have mines," she said. "And of course, that is unacceptable. We will not be a country in peace until this problem is solved." In 2004, Filipovic and her boyfriend were on a fishing trip that took them to a river between Croatia and Bosnia. "As we were returning hand-in-hand, my boyfriend stepped on a mine," the 41-year-old Filipovic said. "It was an awful, deafening explosion ... thousands of shrapnel parts went flying, hundreds ending up in my body. He was found dead several meters away, while I remained in a pool of blood sitting on the ground." She sued the Croatian government, saying the area wasn't clearly marked as a former minefield. "At first I thought I was asleep," she recalled. "Then I heard the voice of my father. I opened my eyes, and saw nothing. I thought I lost my eyes." The government admitted guilt in the case for failing to keep the minefield sign, but the court has yet to determine financial compensation. 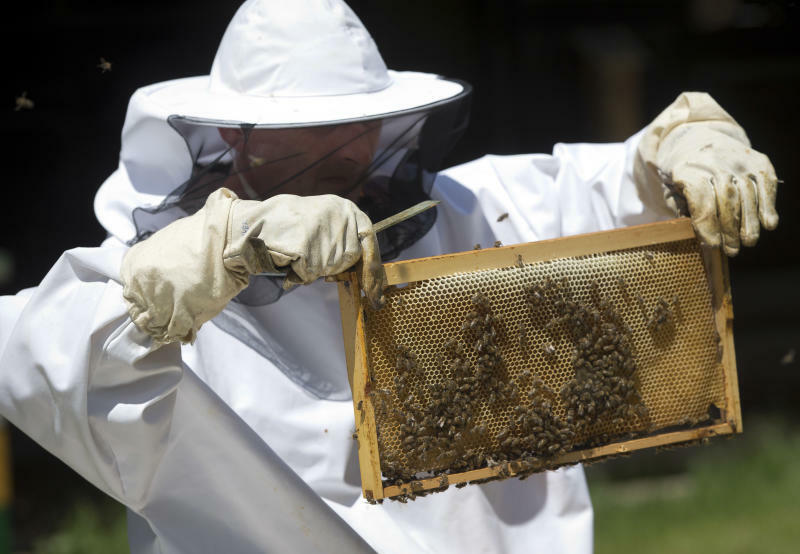 It may be a while before the honeybees hit real minefields, Kezic said. First, they will conduct controlled tests, with real mines but which are marked. Kezic said American researchers have in the past experimented with mine-searching bees, but TNT — the most common explosive used in the Balkan wars — wasn't part of their experiment because its smell evaporates quickly, and only small traces remain after time. Rats and dogs are also used to detect explosives worldwide, but unlike bees, they could set off blasts on the minefields because of their weight. "We are not saying that we will discover all the mines on a minefield, but the fact is that it should be checked if a minefield is really de-mined," he said. "It has been scientifically proven that there are never zero mines on a de-mined field, and that's where bees could come in."